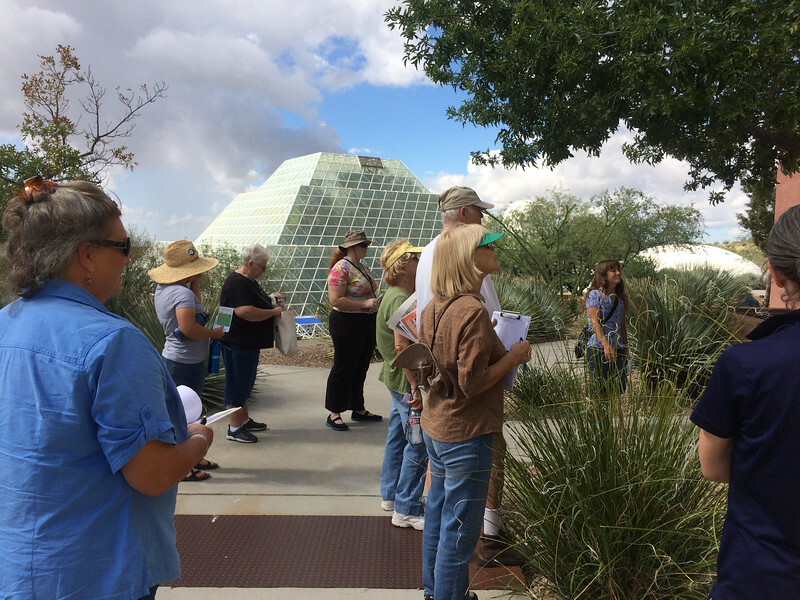 Volunteers practice observing with a Local Phenology Leader to increase their observational skill and accuracy. This page contains a list of "tips" from seasoned Local Phenology Leaders using Nature's Notebook with students or volunteers. This information was realized and shared with the National Coordinating Office by on-the-ground leaders actively pursuing long-term phenology monitoring programs. Before reviewing these tips you might wish to read through our Local Phenology Program Planning Guide for more specific instructions on how to set up a monitoring program. The USA-NPN's large, concerted effort - the standardized protocols being used and contributing to an extensive database that can be used for broad scale comparisons / studies. This is terrific for teaching and for research! Nature's Notebook and the USA-NPN are powerful initiatives that will continue to inspire the next generation of scientists and people who want to live out their values by participating in research about our natural world. Nature’s Notebook goes beyond teaching the explicit content of phenology and citizen science to explore deeper processes of being part of a community, interacting with peers, and deepening a connection to nature. The USA-NPN's National Coordinating Office offers a lot of support for Local Phenology Leaders. There are a lot of resources online to direct volunteers towards as they learn how to record phenology data. There is value in taking a slower, more methodical approach to creating your phenology monitoring program. Be ready to invest time and energy into the program for the long-term. Set aside time each week, even if minimal, to work on or think about implementing this program. Slow and steady wins the race. Create a solid foundation (such as training materials, getting a website established, etc.) before pushing forward with volunteer recruitment. When you begin, take time to explore the tools on the website, including the visualization tool, the Local Phenology Program Dashboards, and the available event and training materials. Make sure you know how to use the Nature's Notebook program online before introducing it to your students or volunteers. Create a solid team to share project work. Recruit at least one co-worker or long-term volunteer to undertake this project with you. 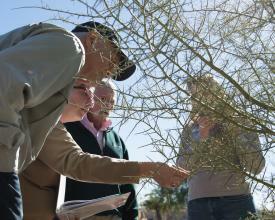 Consider a pilot project before diving into a full phenology monitoring program. Define your goals and scope for the pilot phase. Know your goals from the beginning and check in on them regularly. Put your program plan into writing and get buy-in from your key stakeholders before you start. It is good to realize whether you are more focused on the science outcomes or the engagement outcomes. Be sure to build in time to prepare resources (training materials, phenophase guides, data sheets, etc) before you recruit volunteers or students. Build flexibility into your program so that you can continue when volunteers leave, plants die, etc. Nature’s Notebook programs are all fluid. There is going to be a lot of trial and error and a strategy that worked this month might not work next month. Be ok with change and a slow pace. To have a successful program you have to keep stirring the pot! Find ways to weave Nature’s Notebook monitoring into other things you are doing at your site. No two Nature’s Notebook programs are identical, yet many have similar elements. Think long-term, not just to get sufficient observations to feel the program has contributed meaningful data, but simply to see what works at your local site, with your set of volunteers, etc. It often takes 3 years to really get a program going. Partnerships are very important! It is ok if your organization can’t do education, citizen science, and resource management — if you partner with other organizations, it increases the impact, but not the workload. Be sure to connect with as many local partners as you can. Take time to connect with other leaders across the country using Nature’s Notebook in the field, via the monthly Local Phenology Leader calls, the listserv, or social media. Ask questions! The species you select and your site design will depend on the goals that you are seeking to achieve. Some species and individuals are easier to observe than others. For beginners, consider trees with canopies at eye level or not mixed with canopies of surrounding trees, selecting one male and one female for dioecious species, including mature plants that will actually flower and fruit, and animals that are easy to identify. Start small. Choose two-three individuals of a single species to get the hang of it, then add more species when you are comfortable. It is accepted (and recommended!) to start with a limited selection of plants and gradually work up to the full walk that you intend to organize and maintain. Plants are more dependable than animals and can be more interesting than you think. Select sites and plants that are easily accessible so that you will visit them often. Take time to understand all the aspects (species phenophases, the Nature's Notebook ins and outs, etc.) of the plants you select and plan to observe them through time. Select a subset of the phenophases to begin, and master those. Then move on to more phases and the intensity. Before starting observations, spend some time getting to know your species. The Primers are great resources for phenophase identification. Wait to start answering the intensity questions until everyone in your group is comfortable doing so. Some observers might prefer to do their data collection with other observers, while others may prefer to do it on their own. Host calibration and refresher trainings to make sure that data are collected consistently. Really go into depth on the botany and phenophases for your species. When monitoring intensity on large trees, look at smaller sections of the plant and then extrapolate. In a fire-adapted landscape, fire impacts do not necessarily halt phenology data collection - they can enhance it! Think about how a seemingly negative landscape impact might be enhanced by having consistent phenology data. If many of your species don’t have a lot of great phenophase photos out there, try to learn what those are, find someone who can help, and take photos of the plants each season. Use those as your learning and teaching guides. When advertising, introducing, and explaining this project to potential volunteers you really need to have a vision of each facet of your project. What species, where, when, why, how this data will be implemented? People will want to know these answers. Make sure new volunteers have mentors and face-to-face time with experienced observers. Provide diverse ways for volunteers to be involved with your program - ask them to take photos, create a logo, write a poem or song. Do not open trainings with the term phenology, rather open with plant and animal signals they are familiar with, make personal connections, and connect it with current and ongoing research, and then move on to discuss to the Nature's Notebook phenology program. "Sell" phenology in a way that is helpful to both the individual organization and the greater state and national phenology database and related studies. Get everyone hyped about phenology. This can be time-intensive but is worth it. Lead with positive energy for the program and your volunteers will absorb it. Communicate the value of what you are doing to your volunteers on a regular basis. Volunteers are grateful to have a way to contribute valuable information to steward our planet and feel a sense of place amongst “their” plants. They are helping to create a useable record for years to come. Find a good way to schedule observers to make visits and stick with it. Asking volunteers to collect observations twice a week will burn them out. Share results back with your volunteers for engagement and data quality by using the visualization tool and Observation Deck Calendars. If you are observing Nature's Notebook campaign species, take advantage of the monthly campaign messages that include summarized results - the NCO has done the work for you! Engage and appreciate your volunteers as much as you can. Learn WITH your volunteers - study the phenophases together. Know where to find answers to questions that your group may have. Communicate to your volunteers that perfection is not always necessary. If they don’t know the answer they can move on. Seeking perfection should not stop people from participation. You don’t need to report on all of the phenophases on the datasheets! This makes monitoring flexible and can be tailored to the program questions and observers' skills. Step back and focus on the big picture with students or volunteers - tying each monitoring project back to the learning objectives (focusing on essential skills, perspectives that we want students to walk away with); reflecting with students on why these projects are important and why their contributions are valuable; focusing on value to community partners or scientific research (question or management driven - rather than monitoring driven). Create a plan for volunteer “Perks” or engagement other than just collecting data. Give them something back for helping. Create book clubs, picnics, social gatherings OR give them other independent tasks to work on in service to your program. Choose a variety of bird species, resident and migratory, and plants so there is always something to look for. You do not want volunteers to be bored and for your project to be stagnant at certain times of the year. Once the project is going and you have volunteers collecting data regularly you can't just put it on the back burner - it needs to be nurtured. Make a plan for continuous engagement for the life of the program. Create a peer review process once data has been collected. Build in "quizzes" or assessments into curriculum or programming that require participants to really study and learn phenology more deeply. Moving Site from one group (or personal site) into a group. As you may know, every year the NCO's Communicate and Connect Team conducts an evaluation of all Local Phenology Programs. We want to learn more about what people are doing and the impacts they've achieved each year. Find the results of every year's evaluation here!